Many commentators expect the direct talks between Israelis and Palestinians to fail. But there is a much worse scenario: What if they “succeed?” The United States appears determined to push for a framework agreement within a year and both Israeli prime minister Benjamin Netanyahu and Mahmoud Abbas, President of the Ramallah-based Palestinian Authority (PA), are aiming for that goal. Such an agreement, U.S. peace envoy George Mitchell explained in a September 2 press conference, would be more than a declaration of principles but less than a peace treaty. In it, the two sides would reach the “fundamental compromises” necessary for a peace accord. Like its predecessor, the Obama administration has already indicated that the accord would still have to be fleshed out and then implemented over the course of several years – which virtually ensures that it will be delayed if not derailed as happened to past peace accords. If the Palestine Liberation Organization (PLO) and PA were unable to secure a sovereign state and rights through U.S.-brokered negotiations with Israel between 1993 and 2000, when they were in a much stronger position, they are highly unlikely to do so today with such a badly skewed Israeli-Palestinian power dynamic. Instead, next year is likely to see a grand ceremony where Palestinian leaders will sign away the right of return and other Palestinian rights in an agreement that would change little on the ground. The plan of the PA’s appointed prime minister, Salam Fayyad, to declare a Palestinian state in 2011 could unwittingly contribute to this outcome by providing the appearance of an “end of conflict” while the reality remains unchanged. If the rest of the world sees that the government of “Palestine” is satisfied with international recognition and a U.N. seat, they will be happy to move on to other problems leaving the Palestinians at Israel’s mercy. Such a scenario could sound a death-knell for Palestinian human rights. The Palestinian people have shown a remarkable capacity to regenerate resistance and evolve new strategies after suffering harsh setbacks over the past century. But there may be no recovery this time around. A “peace agreement” would end the applicability of international law to the resolution of the conflict; permanently fragment the Palestinian people; and demobilize Arab and international solidarity. What can Palestinians do to forestall abrogation of their fundamental rights and to ensure just peace? 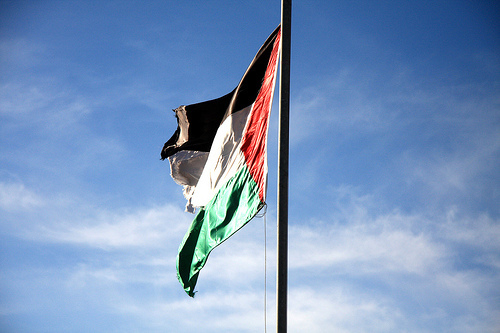 In a contribution to the debate around this question, this brief examines five areas that are key to Palestinians determined to persevere until rights are realized: Unifying the Palestinian body politic; espousing common goals; applying international law; using appropriate tactics; and strengthening the Arab and international movement of solidarity. It concludes with some suggestions for strategies in each area. A unified body politic is perhaps the most important source of power for the Palestinian people. However, since the Oslo Accords were signed the PLO has no longer represented the Palestinian refugees and exiles, while the Palestinian citizens of Israel have been left to fend for themselves. 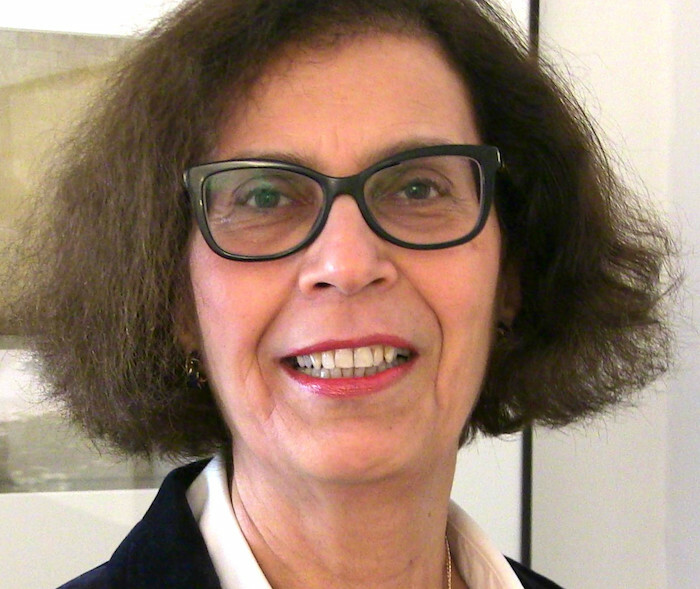 The PLO has essentially ceased to exist as a functional organization, and the PA has effectively taken over such functions as appointing diplomatic representatives overseas. Hamas continues to be excluded from the PLO and the Hamas–Fatah split further fragments and erodes the Palestinian political voice. Beyond the political level, each segment of the Palestinian people faces tough challenges. Palestinian citizens of Israel, after articulating a vision of full equality within Israel, now face a harsh crackdown. [fn] The three vision documents are excerpted in the Journal Palestine Studies Volume XXXVI, No. 4, Summer 2007, pp. 73 -100[/fn] Palestinians in Gaza, under siege for four years and geographically disconnected from the West Bank and the outside world, remain steadfast in the face of Israeli oppression. Palestinians in Jerusalem are isolated and face expulsions and home demolitions as Israel continues its policy of Judaizing the city. In the West Bank, part of the population, exhausted after repeated onslaughts, wants to live a normal life even in small enclaves. At the same time, the popular struggle against Israel’s Wall and the boycott, divestment and sanctions (BDS) movement are rooted in the West Bank. It is not clear which is the stronger force: those that are “co-optable” or those who resist. What is clear is that the PA is seeking to “manage” both the popular struggle and BDS, providing funding for some segments of the former and claiming the mantle of BDS with a limited campaign targeting the sale of Israeli settlement products. Palestinian refugees face serious human rights violations in many of the Arab countries where they are based. Attempts to forge communities of Palestinian exiles in Western countries have had varying success, but nowhere have they established the kind of lobby created by American Jews. The ability of Palestinian exiles to physically reconnect with Palestine, which many were doing during the 1990s and 2000s, is being circumscribed by increasingly restrictive Israeli measures. Against this background, it is not clear how, when, or even whether, the Palestinian people could revive the PLO. Even if there were no Hamas-Fatah split, the very existence of the PA, its narrow mandate, and its determination to function within the American ambit militates against an independent voice for the Palestinians. Are there signs of other leadership options? The BDS movement launched by the Palestinian Civil Society Call of 2005 is now being directed by a BDS National Committee (the BNC) which groups representatives of all nationalist, Islamist and other political parties as well as civil society organizations. However the BNC is unlikely, in the near future, to provide the kind of leadership provided, for example, by the United National Leadership of the first Intifada. The current political splits and jockeying for power make it easier for Palestinian political and civil forces to unify around a strategy for rights –- BDS -– rather than to forge a national leadership. In the years since the Palestinian National Charter was recognized in 1968 as the common statement of Palestinian goals, there has been a loss of direction regarding the ultimate objective of the Palestinian struggle. [fn] In 1996, the Palestinian National Council amended the Charter at U.S. and Israeli insistence to remove articles contrary to the letters exchanged by the P.L.O. and Israel in 1993. None of Israel’s founding documents were amended to recognize Palestinian rights. [/fn]The PLO gradually shifted from the objective of a secular, democratic state in all of Palestine to supporting the two-state solution. This was formalized after the Palestinian National Council accepted the two-state solution in 1988. It was also “understood,” although this was never formally stated, that the Palestinian right of return would have to be implemented within the Palestinian state for some of the Palestinian refugees with, at best, compensation for the rest. No other national documents that set out Palestinian goals emerged until the 2005 Civil Society Call for BDS and the 2006 Palestinian Prisoners’ Document. However, the Prisoners’ Document has not been made operational, in the sense of being carried forward by one or more political groups. By contrast, the Civil Society Call is being made operational through the BDS movement. The Call upholds the Palestinian right to self-determination and sets three goals: freedom from occupation, equality for Palestinian citizens of Israel, and realization of the right of return. Unfortunately, most Palestinians and their supporters focus on the strategy of BDS rather than the goals of the Civil Society Call. The importance of having common goals for a human rights movement cannot be overstated – as South Africans can attest. As a revised Oslo-like process threatens to undermine Palestinian rights, Palestinians and their supporters must have clear goals to know what constitutes success, what violates the national consensus, and when to demobilize. Such goals are even more crucial in the absence of a leadership committed to Palestinian rights. In this context, clear goals provide a reference point for Palestinians and enable them to organize effectively. Today, the 2005 Civil Society Call is the only clear statement of goals available to the Palestinians that is broadly accepted by a wide swath of civil and political forces within and outside historic Palestine. Moreover it is grounded in international law, including the right to self-determination, and the goals encompass Palestinians under occupation, in exile, and in Israel (See Omar Barghouti's policy brief). As such, the Call’s value goes well beyond the BDS strategy, effective as this is proving to be. International law and human rights are vital to the just resolution of the Palestinian conflict. They enable Palestinians to set their goals in a framework that the international community is pledged, in theory, to uphold. They also provide some protection against being pressured into agreements that do not fulfill minimum rights. Indeed, it is significant that the International Court of Justice Advisory Opinion on the illegality of Israel’s Wall urged the international community to apply international law to this conflict. The 2005 Civil Society Call, issued on the first anniversary of the ICJ Advisory Opinion, responds to this challenge. Moreover, applying the discourse of human rights to the conflict is a powerful, non-violent strategy. It exposes Israel’s greatest weakness: the racist underpinnings of Zionism and its implementation. The values of universal human rights are much more powerful than the concept that a group of people is entitled to be privileged by ethnicity or religion, with no obligation to acknowledge or pay reparations for their persistent ethnic cleansing of a country’s indigenous inhabitants. The relevance of international law to conflict resolution does not stop at Palestine’s door: It matters to the evolution of humanity at large. By upholding human rights, the Palestinians help protect this universal framework from Israeli, U.S., and other efforts to subvert it. Every era calls for appropriate tactics to achieve stated goals. Certainly the use of armed struggle was a valid and effective tactic in the early days of the Palestinian national liberation struggle. However, the value of armed struggle today is something that needs to be subjected to dispassionate examination. In particular, if the goals are stated in terms of international law then Palestinians must also uphold this in their choice of tactics. It should first be emphasized that under international law Palestinians have the right to resist occupation, including armed resistance. Yet under the same set of laws, deliberately targeting civilians can constitute a war crime, as most recently articulated in the UN-commissioned Goldstone Report, no matter which party (Israel or the Palestinians) does so and what weapons are used. Furthermore, the use of weapons puts Palestinians in the arena where Israel is strongest and they are weakest. It enables Israel to use the security argument to obscure its crimes. And weapons do not target Israel’s most serious weaknesses -- its claim to ethnic and religious superiority and its refusal to acknowledge its responsibility for past and ongoing Palestinian dispossession. It is worth noting that during the first Intifada, the Palestinians were able to achieve successes similar to the armed struggle of the PLO a quarter of a century earlier: putting the question of Palestine on the map, and attracting a powerful international solidarity movement, official and non-governmental. Today, civil resistance and BDS, coupled with international solidarity, are strengthening the Palestinians and weakening Israelis. Among the strategies used in the struggle for human rights, the Palestinians urgently need to identify the most effective ways to stay on the land of Palestine. The non-violent popular struggle against Israel’s Wall in the Occupied West Bank has scored some successes and has renewed grassroots leadership in an echo of the first Intifada (see Jamal Juma’s policy brief). However, Israel is still relentlessly carving up the West Bank and depopulating the Jordan Valley and East Jerusalem, as it is the Negev and other areas where Palestinians are the majority inside Israel. Without Palestinians on the land of Palestine, as Israel knows only too well, the Palestinian cause will be impossible to sustain. For decades, the PLO and PA have not reached out to Arab peoples in an organized fashion, largely content to deal with Arab governments. Nor did they nurture the diplomatic support of the non-aligned movement and other friendly countries, at a time when Israel was actively wooing African and Asian states, or strengthen strategic ties with friendly European and post-Soviet Union countries. Arab sympathies remain with the Palestinians but few have any sense of how they can help. Palestinian refugees and exiles can play an important outreach role to Arab peoples, without interfering in internal Arab affairs. At the same time, in seeking solidarity Palestinians must stand in solidarity with Arabs on issues of concern to them (see the Al-Shabaka Roundtable The Role of the Palestinian Diaspora that began this discussion). The international solidarity movement of civil society is being rapidly revived through the popular struggle and BDS, as well as the outrage at Israel’s attacks on Gaza, on the “Freedom Flotilla,” and other trampling of international law. New forms of state support are emerging in countries like Turkey and Malaysia. A peace deal that does not fulfill Palestinian rights risks defusing this mobilization, as happened to the powerful international solidarity movement of the 1980s, which used to fill the halls of UN during the annual conference on the question of Palestine. In each of the areas addressed above, strategies have emerged or are needed to sustain the struggle to fulfill Palestinian human rights. Some examples and suggestions are given below. Unifying the Palestinian body politic. 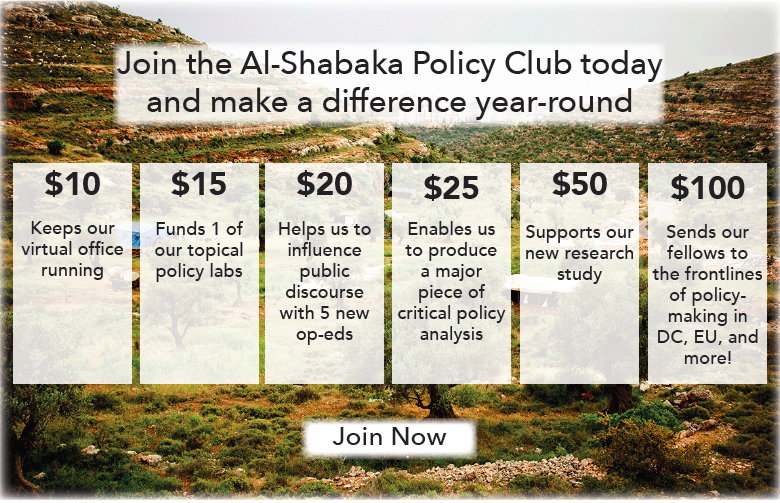 Alongside efforts to foster national unity and to revive the PLO, there is a need for increased investment in activities that bring Palestinians together across borders (as, indeed, Al-Shabaka seeks to do) without neglecting any segment of the Palestinian people, in exile, under occupation, and in Israel. There is also need to further invest in the Palestinian capacity to remain steadfast on the land and in exile, while recognizing that those who live on the land of Palestine have a greater ability to influence the Palestinian future. Palestinians in exile also need to use every possible means to remain in physical contact with the land of Palestine and find ways to counter the many tactics Israel uses to prevent them. Espouse common goals. Palestinians should disseminate the goals of Civil Society Call as widely and as clearly as possible to compatriots everywhere, explaining the value of the BDS strategy but also drawing attention to other strategies that can uphold these goals, for example nurturing relations with the peoples of Arab host countries. And they should communicate the goals as widely as possible to international civil society so that it remains mobilized until they are achieved. Further, Palestinians need to be prepared to issue public statements and take appropriate actions to inform world governments that any agreement that does not meet these goals will be rejected – and resisted – by the majority of the Palestinian people. Applying international law. Palestinians need to invest in education and awareness-raising around the relevant human rights principles and conventions that apply to this as well as to other conflicts such as the U.S. invasion and occupation of Iraq and Afghanistan. It is also important to frame messages in terms of universal rights and values that are easily grasped by people everywhere. Applying appropriate tactics. There is a need to initiate wide-ranging discussions about the effectiveness of various options for resistance, especially among youth. It is also important to engage the energies of Palestinians of all ages who have been excluded from the political process so that they can make a tangible contribution to the struggle by identifying tactics relevant to their local contexts that help to achieve the common goals. The suggestions are intended to contribute to and encourage debate. Whether there is a “peace agreement” or Israel continues to impose its military and political will to derail an agreement, it is imperative that Palestinians discuss, formulate and communicate the best strategies to achieve their goals. Otherwise this latest “peace process” may succeed in terminally demobilizing the Palestinian struggle for rights.